From the hallowed ground of Arlington National Cemetery in the nation’s capital to cities and towns across thecountry, Americans will honor the nation’s war dead with solemn ceremonies, decorated graves and parades on May 28. 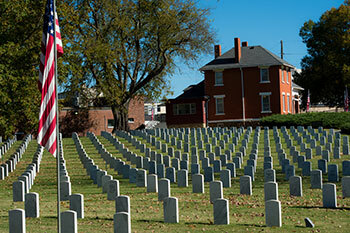 It is a tradition that began in the aftermath of the Civil War, the nation’s deadliest conflict. Cities and towns in both the North and South set aside days to decorate the graves of the fallen as they sought to honor the thousands who died. The tradition, often referred to then as “Decoration Day,” made its way to the nation’s capital on May 30, 1868. 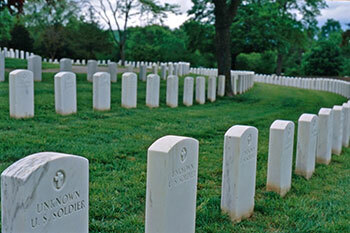 It has been held annually ever since at Arlington National Cemetery, the nation’s most sacred burial site for veterans. 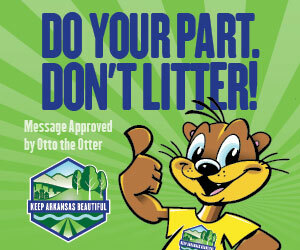 Elsewhere, including Arkansas, there will be similar ceremonies and activities where Americans take time out from celebrating the unofficial start of summer vacation to remember those who gave the ultimate sacrifice. In the century-and-a-half since the end of the Civil War, the Memorial Day holiday has evolved from a day to decorate graves of servicemen to a three-day weekend marking the unofficial start of summer. And the origin of the holiday itself has become muddled, as more than 25 cities and towns lay claim as its birthplace. 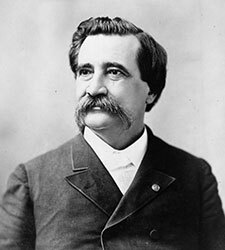 While there is still debate over the origin of the idea for the holiday, it is widely agreed that the first nationally proclaimed official Decoration/Memorial Day holiday was established by Maj. Gen. John A. Logan, the head of the Grand Army of the Republic, an organization of Union Army veterans. 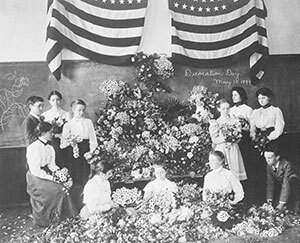 He declared that May 30, 1868, would be “Decoration Day,” a time to adorn the graves of the war dead with flowers. According to the U.S. Department of Veterans Affairs, he chose that date because it was a time when flowers would be in bloom across the country. Other reports say he chose it because it did not fall on the anniversary of any significant Civil War battles. The first Arlington National Cemetery observance featured comments from former Union Gen. Ulysses S. Grant, among other dignitaries. Prior to that observance, local citizens had already begun decorating the thousands of new graves of Civil War dead scattered across the land with fresh flowers, a practice that dates to ancient times. According to the 2014 book, The Genesis of the Memorial Day Holiday in America, by Daniel Bellware and Richard Gardiner, Ph.D., the first call for a decoration day holiday came from Mary Ann Williams, secretary of the Ladies Memorial Association of Columbus, Georgia. In a March 10, 1866, letter to the Columbus Daily Sun, Williams called for dedicating “at least one day in each year to embellishing their (war dead) humble graves with flowers.” The letter soon appeared in newspapers across Georgia and in other Southern states. The date of April 26, 1866, was chosen and tens of thousands of people in the South celebrated that day as the first annual Memorial Day, with one exception. A newspaper in Memphis erroneously reported the date to be April 25, prompting a group of women in Columbus, Mississippi, to have their decoration day a day earlier than the others. In addition to being first, the Mississippi group also gained fame from poet Frances Miles Finch, who was inspired to write the poem “The Blue and the Gray,” after hearing reports that the women decorated both Confederate and Union graves indiscriminately. In part because of the poem, Williams’ proposal was “so ubiquitous that word of it even spread rapidly to cities in the North,” Bellware and Gardiner wrote. By the end of the 19th century, May 30 had become widely established as Memorial Day across the nation. After World War I, the day was no longer just for Civil War dead and was expanded to include the fallen Americans of all wars. It was not until 1971, however, that Memorial Day was officially declared by Congress to be a national holiday. And, instead of May 30, the date was changed to the last Monday of May, creating a three-day weekend for American workers. The holiday has also evolved in that many people take the occasion to honor family and friends who have passed away, especially those who served in the Armed Forces. 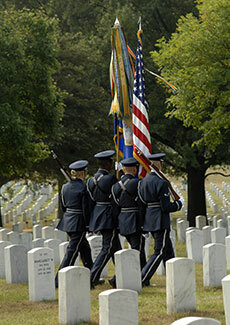 In 2000, the National Moment of Remembrance Act was signed into law, creating the White House Commission on the National Moment of Remembrance, which promotes Memorial Day commemorations and encourages all Americans to pause wherever they are at 3 p.m. local time on Memorial Day for a moment of silence to remember and honor those who died in service. “It’s a way we can all help put the memorial back in Memorial Day,” said Carmella La Spada, founder of the program. 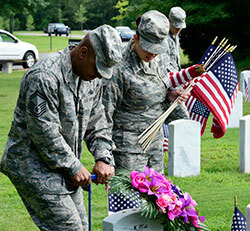 The largest ceremony hosted by the Arkansas Department of Veterans Affairs starts at 10 a.m, May 28, at the Arkansas State Veterans Cemetery in Little Rock and includes a 30- to 40-minute service with a performance by the U.S. Army Band and laying of the wreaths. State dignitaries will be in attendance, and Gold Star mothers will be recognized. Ceremonies will also take place at the Fort Smith National Cemetery (2 p.m.) and the Fayetteville National Cemetery (9:45 a.m.). 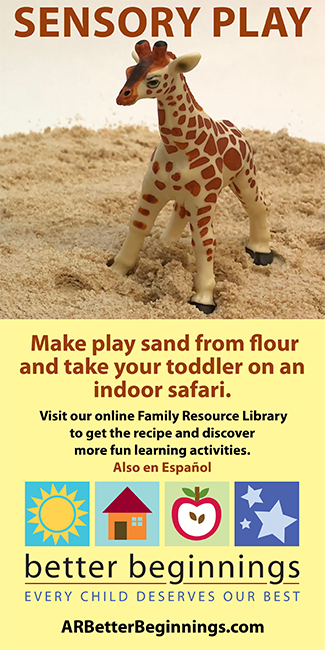 Associate Editor Jenny Boulden contributed to this story.